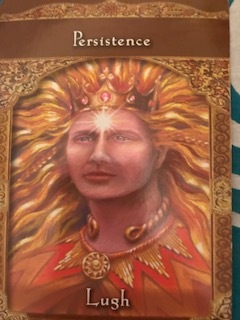 Oracle card of the week 10/24/17 better late than never! Lugh is back to keep us pushing forward. No matter what has already happened, what trauma you’re carrying, the greatest healer is time. Your next moves are in your hands and you can make them beautiful. Pain and pleasure are both temporary in our lives. The only guarantee we have is that we will keep going forward. Work on your physical strength this week to help restore your mental and emotional health. ABRUF30 at Madera Outdoor gets you 30% off! Stay up to date with all the latest content by subscribing below! Abby Helfand is a Reiki Master and Meditation Coach from the Cleveland, Ohio Area with a passion for inspiring people to discover their authenticity through peace of mind.